The blouse is in silk. Yes, I did say silk. It was equally wonderful to work with. I love how it works with the skirt. So the sweater knit is a poly-lycra, but it feels so much more luxurious than that! So let's talk about the patterns I used for a minute. The cardi is McCall's 6996, an oldie and goodie! I made view B with some alterations through the bust area and mid-back so it fit. I really love the peplum in the back. 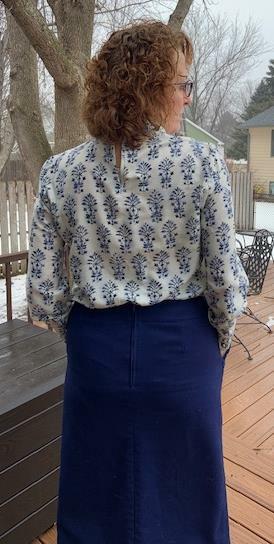 This top--I am so into Indy patterns lately and I found this one by a French company called Orageuse. 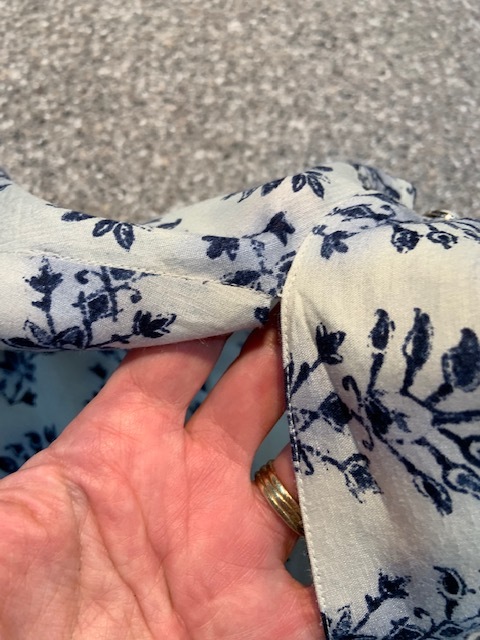 This fabric behaved beautifully! It isn't a slippery silk but has more of a raw silk feel. It feels fabulous on your skin and was so awesome to work with. I didn't know how I'd feel about the collar, but with how well this fits in that area, I will make another! Here you can see what I did to the skirt pocket. This isn't part of the directions. I found some inspiration on Pinterest and decided to go for it. 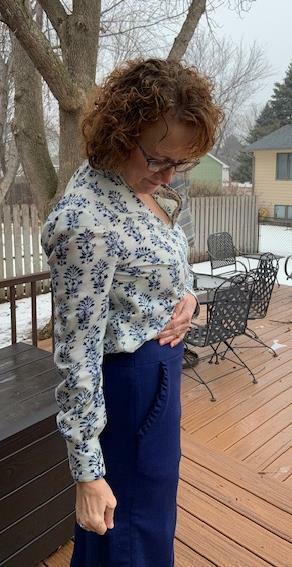 If you are wondering, I used Simplicity 8175. I fully lined the skirt as well. It makes it so much nicer to wear. Below you can see some of the details of my makes. Here's the back collar/neckband along with the opening that's finished with a lapped binding. 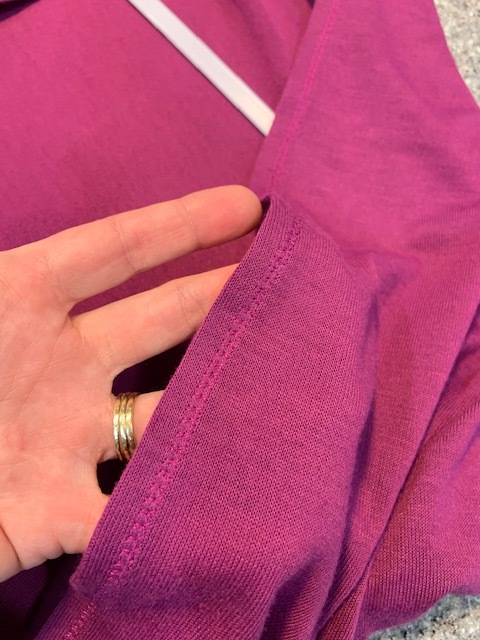 I am very proud of my topstitching on this! Above is a closer look. Here's a close-up of the cuffs. This is where the collar and v-neck intersect. 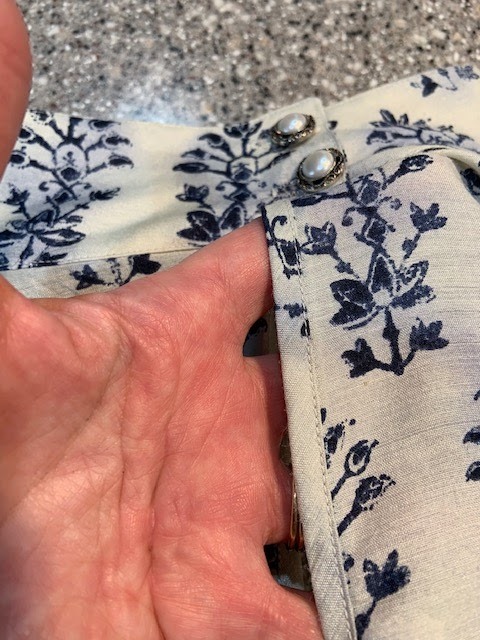 If you sew a pattern like this, make sure your stitching is precise in this area. 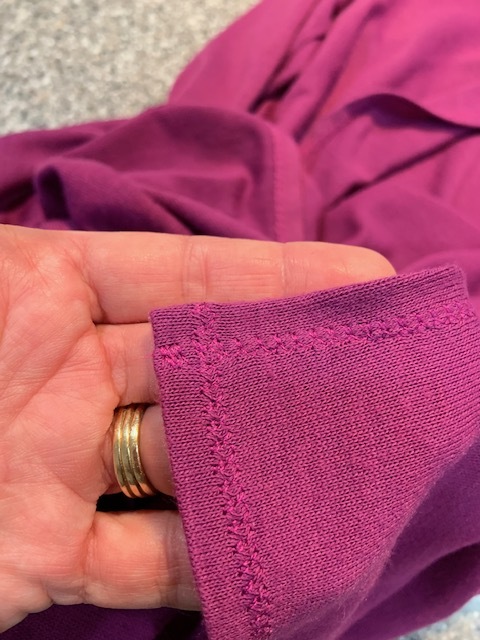 Just a close-up of the stitching to hem the cardigan. 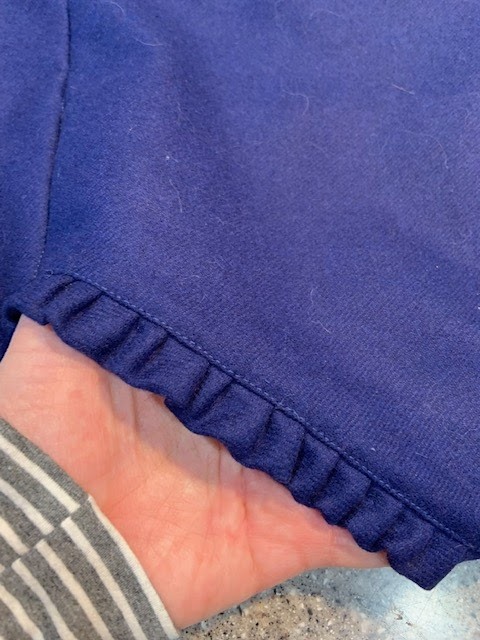 This is the detail of the pleating I added to the pocket. Here's a close up of the lining I hand stitched all around. I hope you'll try some of Fabric Mart's luxury fabrics. They are so fun to use! That is really well done! I can't resist wool or silk for clothing. 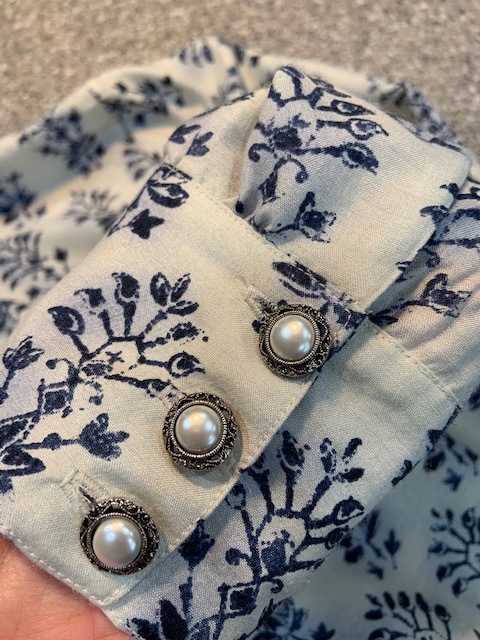 And the blouse! I'm going to check that pattern company out right now! Thank you! Glad you like this! Oh that blouse is sooo cute. It looks really good on you, too. Nice!!! Love your makes. Great job. The blouse is stunning! Thanks! I really love the blouse! 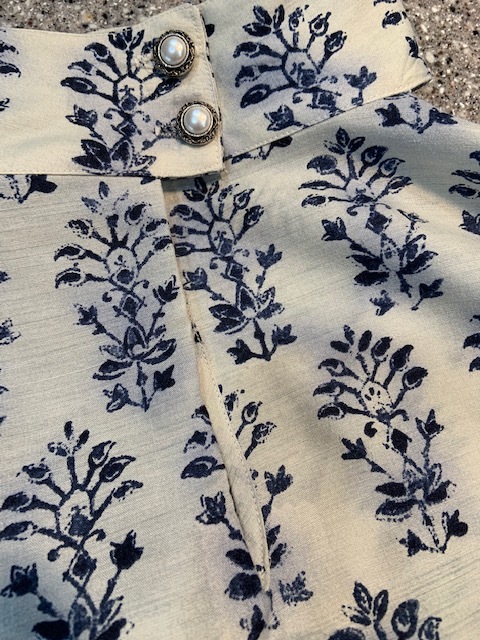 The silk is such a beautiful print, and it works well in this interesting design. I'm sure it's a treat to wear! And the berry is so pretty on you! 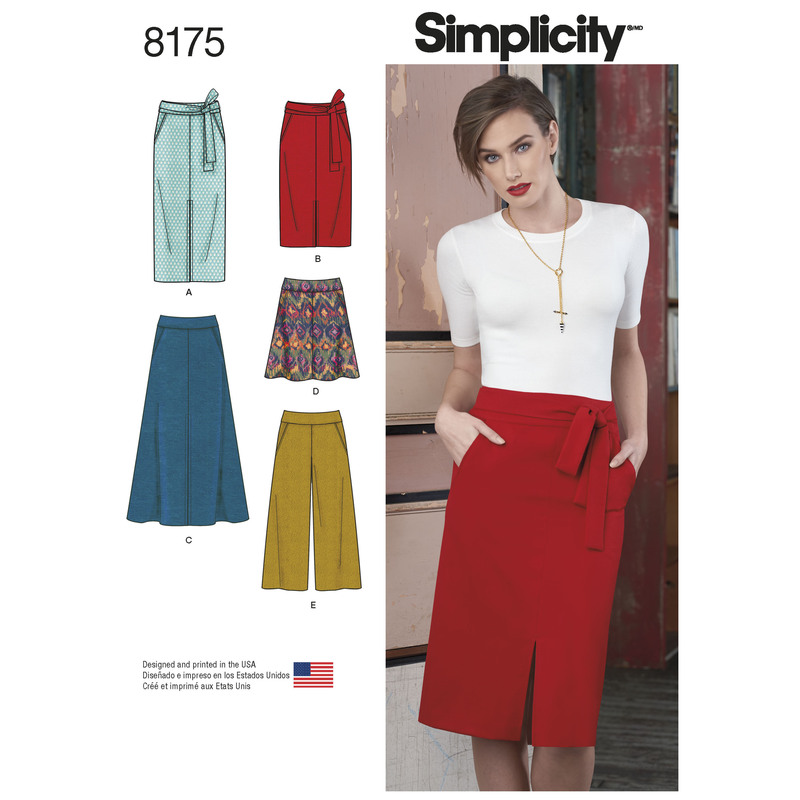 This is the perfect skirt for winter, and the little pleat detail is fabulous on the pockets! Great looking garments. Love the color combination of the blue and dark pink. 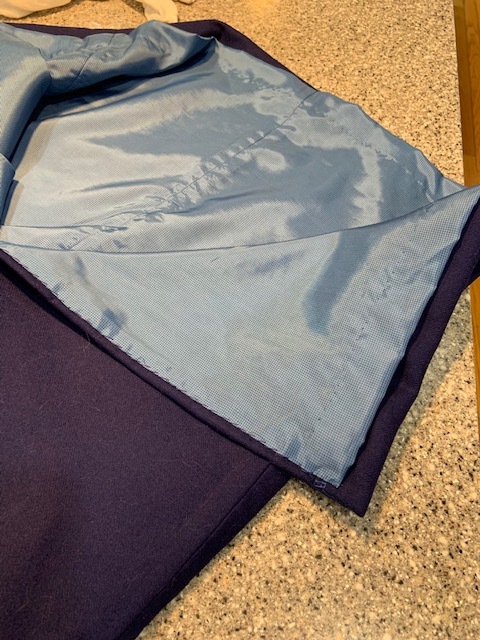 It is always a pleasure to sew with natural fiber fabrics like silk and wool. Thank you Audrey! I too love the blue and pink. So nice to wear happy colors in the dreary weather!